Our range of Shark vacuum cleaners deliver an array of advanced vacuum cleaning solutions to suit a variety of environments and lifestyles. If you’re after a compact, lightweight cleaner that offers enhanced manoeuvrability, enabling you to get into all those hard to access crevices, then look no further than Shark’s cordless collection. 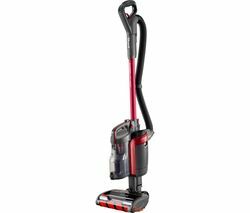 Shark vacuum cleaners like the ingenious IF250 deliver cordless cleaning convenience without sacrificing the suction power you need keep your home spotless. 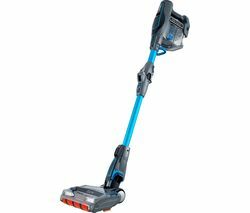 Shark vacuum cleaners like the IF250 convert from an upright into a handheld at the touch of a button, you can enjoy effortless cleaning of stairs, upholstery, and your car. And the innovative flexibility doesn’t end there – DuoClean technology allows you to glide from carpets to hard floors without the need to switch heads. Two unique brush rolls offer triple particle cleaning to pull in large particles, small particles along edges and crevices, and remove troublesome stuck-on dust. Further flexibility comes courtesy of the IF250's Flexi-wand, which bends at the touch of a button, enabling you to access all those hard to reach corners and crevices. You’ll even find you can get underneath furniture with remarkably little effort. And you needn’t worry about the battery conking out mid-clean, the IF250 comes equipped with two Lithium-ion batteries that together offer 44 minutes of cleaning. And because there’s two of them you can have one charging while the other’s in use. Explore our complete floorcare collection to browse a wide range of cordless vacuum cleaners from all the leading brands. You’ll find all the latest Dyson, Bosch, Miele and Hoover vacuums, including cleaners to suit every home, lifestyle and budget.